I don't know the one on Brilliant, But I know Anda on DG and the live one on Aura, from a concert with Chopin op 25 and a Schubert sonata. The live is one of the greats, -- the difference between it and the dead one is all to do with the intangible things that Bulldog keeps banging on about -- the sense of one dance responding to another, the sense of each dance finding its own distinctive face and emotional meaning, the sweep. It's been released on Ermitage, too, which seems to be the place where all these Italian radio recordings wind up. Help support GMG by purchasing items from Amazon through this link. I'm quite sure that's the same recording, Octave; Membran (which has as many names as the Hydra had heads) has obviously incorporated Aura/Ermitage, as it has other catalogues. I have a couple of the discs listed by you on either Aura or Ermitage, which were originally, if I am not mistaken, produced from mainly Swiss-Italian radio tapes for cheap music magazines offered on a regular basis at Italian kiosks. I remember buying a mag about Stravinsky in Florence years and years ago and getting some delightful performances of works like the Octet conducted by Stravinsky himself at Lugano. In a way I could curse you for bringing this up, because getting this would mean some duplications and creating more problems of space, both in the external world and in my head. in a vein it knows will cripple it. To all those who attentively follow along in the score I would like to say: Not only do I play all the repetitions, but I also play a few more too —which is quite uncommon in this day and age, when even required repeats are generally omitted. In my defense, I might add that even Schumann sometimes didn't seem to know exactly what and how often he wanted something repeated. You can see this very clearly in the two editions of the DavidsbOndlertanze which he supervised. It is striking that he tends to call for more repetitions in the later edition. Also, I would say that the pieces, which take on a new formal guise through the additional repeats, seem to agree better with my feeling for proportions. Besides — let us leave it up to the conductors of this imaginary ball to repeat whatever sections, fanfares and dances they want. The guests are grateful; it makes them dance that much longer into the tipsy morning. The clock strikes six, the last guests leave, some of the waltz rhythms —though robbed now of their pulse — still scurrying in their heads. Their distant echo is a harp-like dominant seventh chord in which the notes are no longer struck, but audibly released until only the soft "A" is heard. And then it's over. This is fabulous, I mean it reminds me of how wonderful music can be on modern a piano, something I was forgetting. He's totally "in the moment". It dates from 1991, which was a time when I saw him play a lot and I thought he was a really great pianist in the making, something which I stopped thinking around 2005. Listening to the DBT I suddenly remembered what all the fuss was about. I shall have to revisit his first Ravel cycle soon. I notice some discussion from 6 years ago about Jonathan Biss's DBT—his studio recording is now complemented by a live one from Wigmore Hall in 2014. Has anyone compared the two? The Wigmore one is on spotify, I'm just not in the mood myself. I'd be interested to know what you make of it. Clearly it's spiced up by the piano. But once you get beyond that, is it too restrained, too serious? I don't know, I can't separate my own mood when I listened from what's actually going on in the performance. I don't have access to the booklet to see if she has anything interesting to say, the title of the CD makes me think she may have. I mean it's definitely not the way I would play it, but it's also an interpretation pretty much entirely created around the piano and therefore raises questions—is this kind of restraint and moderate tempi more historically accurate, truer to life? the instrument & the tempi give all the music a much more pronounced dance character; how much should this character actually be emphasised? 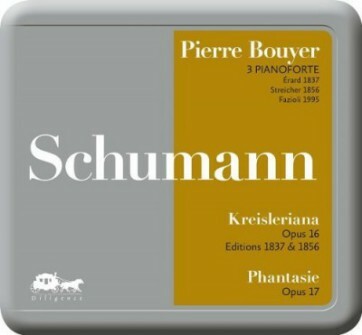 (After all Schumann did remove the "dances" label from the second edition, instead calling it a set of "character pieces".) Etc. I don't know if I like it but I definitely prefer the instrument to a modern piano for this repertoire. Also would have liked to hear Peter Katin or Alexei Lubimov try it. Annette Seiler plays the Fantasiestucke in a similarly classical way. It just seems such a paradox that she should have this approach to expression and call her CD Psychogramme! By the way, I’ve been enjoying Demus’s fortepiano recordings. Not DBT, but the fantasie, symphonic études and Humoreske. I've always liked the Demus fortepiano recordings yes. Surprising how few others there are who have attempted Schumann piano music on historic instruments—one album apiece by Piet Kuijken, Jan Vermeulen, Penelope Crawford and Paolo Giacometti, as far as I know; and probably others that aren't currently available commercially. Two recordings by Fabienne Jacquinot 30 years apart, the former never off LP, in my opinion she's one of the great Schumann interpreters, in this and in the Symphonic Etudes, delicate, sensual, and later on in the BNL recordings at least, strong, powerful, the comment on youtube sums up my feeling entirely. I prefer the Arrauvian BNL recordings. Live event, Fazioli, nice Fazioli, I'm learining to like them, well recorded, very well recorded. I thought he was a really great pianist in the making, something which I stopped thinking around 2005. Why? I have yet to hear a disappointing recording by him. I'll be sure to look out for this Mozart, it's not on Spotify unfortunately. Because of a couple of concert experiences which were a bit routine, that’s all. The problem could well have been my mood, impossible to say. I have always been puzzled by the Schumann Was a Nutcase view. Here is one of the most prolific composers in history who also managed to edit a music magazine and lead an orchestra. In addition to this he had a large family. I would have gone stark raving mad with all those responsibilities, but he kept on, until the sound in his head drove him crazy. Mad men (or women - which were more common in that era) usually are largely unproductive members of society. It is not by chance that this selection of short and longer piano works ends with a strange piece whose paradigmatic character can be easily misunderstood. "The Bird as Prophet", from Forest Scenes op. 82, sounds as if, like "Caliph Stork", it is connected with a fairy-tale; but this is no "scene from childhood" - "almost too serious" - it is serious and feather-light at the same time: a meditation about nature. One may well wonder what bird Schumann had in mind. I used to think it must be the blackbird, but its voice is much more powerful and less repetitive. It must be the sprightly robin, to which folk wisdom also assigns magical powers: if anyone disturbs its nest, "the cows' milk will turn red ... or the weather will penetrate the house". "The Bird as Prophet" has a central sec-tion. "The start of the melody, with its full chords, suddenly breaks the spell and seems like a sigh of relief," writes Jurgen Uhde in his great work Denken and Spielen ("Thought and Play"); he hears in it "the intensity of the vox humana". "At the beginning it is as if an answer comes, understanding, indeed agreeing, but then in the abrupt E flat major of bar 24 1...] the questioning gesture overpowers the answering one. Thus a fragment of subjective expression makes itself heard here, only to disappear again helplessly into the sounds of nature, still as unchangingly mysterious as ever"' Understood in this way, as a conversa-tion between man and nature, this "forest scene" gains the deeper perspective which characterises almost all Schumann's music even though he sometimes sidesteps it in his titles, as if he knew Brecht's dismissive saying "Don't gape in such a romantic way!" The same is true of the key scene, "Ver-rufene Stelle" ("Haunted spot", CD Tr.M). Stands out in dark red. The piano creates a tone never heard before in the history of music; words like "French overture", "Dead march" or "Bach Prelude in E flat minor" seem inappropriate, and even Hebbel's cryptic lines can serve only as a vague pointer to show how dark intimations of beauty, guilt and death can be captured in music in an incredibly finely crafted manner that reminds one of Webern. other pieces in the collection). Clearly he was concerned with suggesting a subtext for his music while at the same time the final words of the poem, "human blood", are completely dissolved, flowing away into the most delicate of musical structures. This can be taken as encouragement to come closer to Schumann by a direct approach, without Jean Paul and the early romantic texts which, though they do address modern anxieties, are, in their fantastic floweriness, so much farther removed from modern under-standing than "physical" music. The set of Forest Scenes which contains both these pieces is "late Schumann". It was completed in 1850, whereas the Scenes from Childhood and Kreisleriana were written in 1837/38, at a time when he was emerging from his earlier, weaker phase. Weaker? In such imaginatively inventive masterpieces as the Abegg Theme and Variations, Papillons or Carnaval? clearly and, I think, more agreeably. I used to link everything together, one after the other, and the result was often strange and seldom beautiful; yet in the case of artists, even their mistakes belong to the world, so long as they are not positively ugly. For the last four weeks I have done virtually nothing but compose, as I wrote to you; it was pouring into me and I was constantly singing along with it - and usually it came out well. I am playing around with dif-ferent forms. Altogether I have felt, over the last year and a half, as if I were in possession of a secret. That sounds strange." concept, a plan for harmonic modulations or a clear idea of form. going to call it Kreisleriana, and you and one of your inspired ideas will play the leading role in it." He goes on to say, "A true and truly wild love is present in some of the movements, as are your life and mine and many of your special gazes. The 'Scenes from Childhood' are just the opposite, gentle and tender and happy like our future. 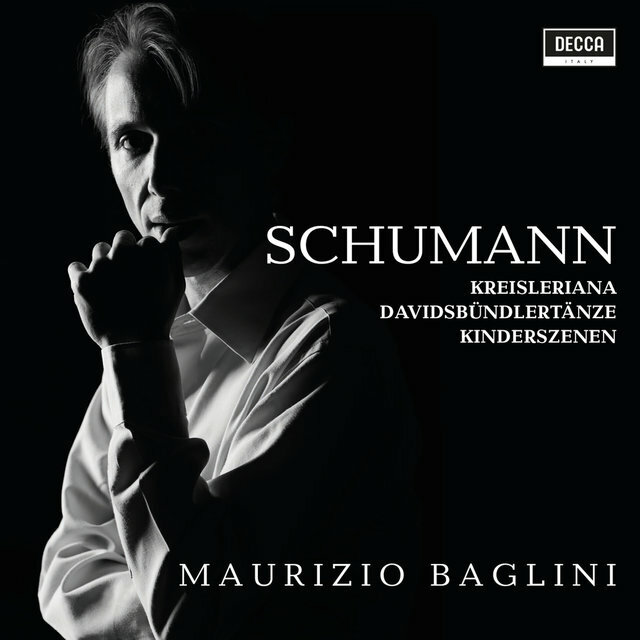 "8 Schumann therefore saw the Scenes from Childhood as complementary to Kreisleriana. Obviously he wished his beloved Clara to see the full range of his personality with all its contradictions. Her reactions were appropriately complementary. Of Kreisleriana she wrote, "I am amazed at your inspiration and all the newness in it - do you know, I am sometimes almost afraid of you and ask myself: is it true that this man really going to be my husband ?" Of the Scenes from Child-hood she writes, "Whom have you dedicated the 'Scenes from Childhood' to ? Isn't it true that they only belong to the two of us? They remain constantly in my head - they're so simple, so intimate, so entirely 'you'." So here too there is a secret. And what about the other secret? While it was still closed to him and he could not yet think of a solution to the Clara secret, he wrote, with no specific intention, a magical, very singable song melody (Tr H). It begins with the first notes of "Sphinx" from Carnaval, A flat-C-B. It therefore perhaps arose in the context of the latter work during the winter of 1834/35, which means that it was not written, as the printed first edition states, in 1836, when Friedrich Wieck forbade all contact with his daughter Clara. Is it the melody or the interpretation? Is it the song of an inner voice? How wonderful it is when the pianist performing it does not interpret the word "gesangvoll" (cantabile) to 6 mean "espressivo". In its sphinx-like tones the "Haunted spot" is never far away, nor is the bleeding heart of a human being or indeed Salome's ruthlessly beautiful words, "And the secret of love is greater than the secret of death"
Theodor W. Adorno: Aesthetische Theorie (Frankfurt/Main, 1970), p.105. Claus-Peter Lieckfeld / Veronika Straass: Mythos Vogel (Munich, 2002), p.184. Jurgen Uhde and Renate Wieland: Denken and Spielen: Studien zu einer Theorie der musikalischen Darstellung (Kassel, Basel, London, New York, 1988), p.418 Uhde, ibid. Roland Barthes: "Ranch" in: Was singt mir, der ich hore, in meinem Korper das Lied (Berlin, 1979), p.601. Bernhard R. Appel: "Poesie and Handwerk: Robert Schumanns Schaffensweise" in Schumann Handbuch, ed. Ulrich Tadday (Stuttgart, 2006), p.155. 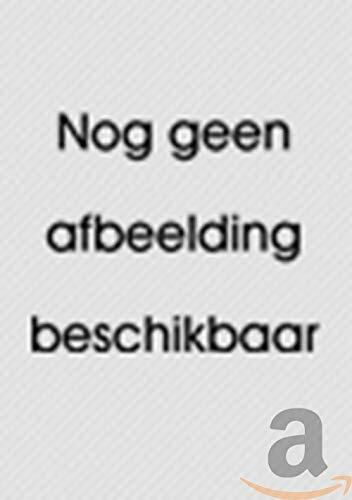 Appel, op. cit. p.153. Arnfried Edler: "Werke far Klavier zu zwei Handen bis 1840" in: Schumann Handbuch, p.249 Edler, ibid. 10 Edler, op. cit., p.246 11 Edler, ibid. 12 Edler, op. cit., p.247 13 Joachim Draheim: "Werke fOr Klavier zu zwei H8nden nach 1840" in: Schumann Handbuch, p.274. I really like these recordings, too. 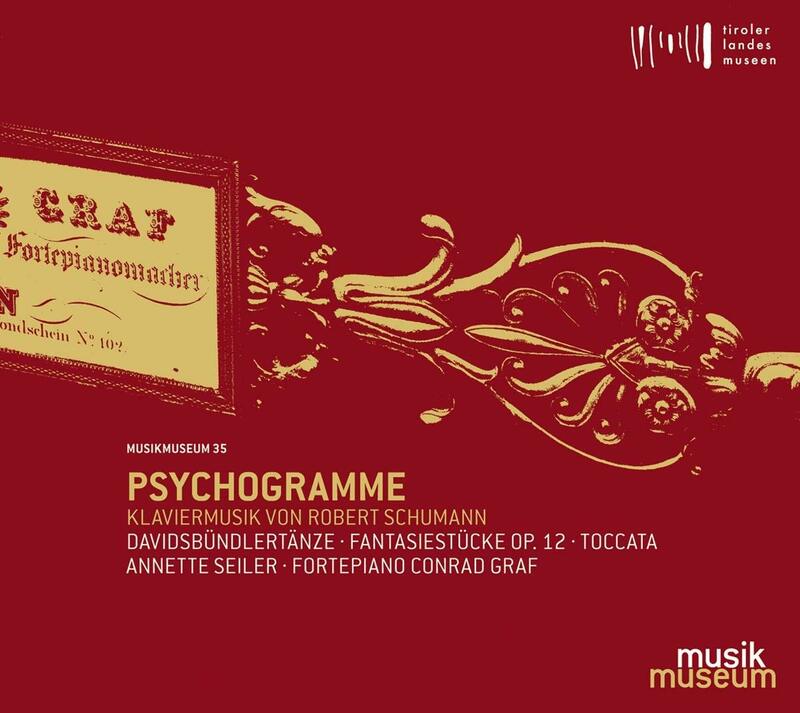 I guess his style of playing (maybe one could call it volatile, highly inflected) fits Schumann generally very well. He's done a lot of Schumann, which I'll try to explore. I got to know him through a really good recording of Chopin Etudes. I started to listen to some of his Bach/Busoni a couple of weeks ago and turned it off after two minutes because it seemed so vulgar . . . but maybe it was ironic vulgarity . . . which would make it OK.